The South East Trawl (SET) fishery is a multi-species fishery with a history of commercial exploitation since 1915 (Tilzey 1994). It occurs off southeastern Australia from Sydney, New South Wales (NSW) southwestward to Cape Jervis, South Australia including waters around Tasmania (Figure 1) in depths from 30 - 1200m. The main gears used are demersal otter trawls, followed by Danish seines (Geen, Brown and Pascoe 1991). The fishery has been described as extraordinarily complex by Smith and Smith (2001)2 who note its multi-species, multi-fleet/gear character and that the species it exploits widely vary in their life histories and habitats. The catch from this fishery, although now competing with rising imports of frozen fish, has supplied most of the fresh fish to New South Wales, Victorian and Tasmanian markets since the 1920s (Tilzey 2000). More than 100 commercial species are taken by the fishery, but 17 species or species groups provide most (>80%) of the catch and are subject to total allowable catch (TAC) limits. The development of a fishery for gemfish (Rexea solandri) during the 1970s and early 1980s led to a large expansion of the NSW fleet with concomitant implications for the structure of the fishery where many of the participants were first or second generation (Italian-origen) fishermen. This was followed by an expansion of fishing effort southwards as an orange roughy (Hoplostethus atlanticus) fishery developed off Tasmania which resulted in a further change to the structure and dynamics of the fishery as vessels raced to get the right mixture of licence endorsements for efficient operations in the fishery. Whereas the fishery off NSW is a mixed species fishery, mainly targeting flathead (Neoplatycephalus richardsoni) and jackass morwong (Nemadactylus macropterus) in shelf waters, and gemfish, pink ling (Genypterus blacodes) and redfish (Centroberyx affinis) on continental-slope grounds further offshore (Geen, Brown and Pascoe 1991), the vast majority of the SET catch now consists of blue grenadier (Macruronus novaezealandiae) and orange roughy (Tilzey 1994, Kaufmann, Geen and Sen 1999). From the mid-1970s onwards, eastern gemfish comprised the dominant SET catch with annual landings between 3300 and 5500t during the period 1977 to 1988, but this fishery subsequently collapsed and has been virtually closed since 1993. A zero directed-fishery TAC is in effect. However, a bycatch of this species remains unavoidable and a small "bycatch" TAC (150t in 2001) is allocated as ITQs. As Tilzey (1994) notes, the reasons for this decline were at that time unclear but it was recognized that overfishing was a problem. The orange roughy fishery began in 1986 when 4200t were taken off western Tasmania. In 1989 a major spawning aggregation was discovered off eastern Tasmania, which led to a peak in reported landings of 43 900t in 1990. The orange roughy resource has since been fished down and blue grenadier now comprises the major SET catch. In 1985 a halt was made to the issuance of new licences in an attempt to control the large amount of latent effort in the fishery. Despite this, from 1986 through 1989 the profitability of the demersal sector steadily worsened as prices declined and operating costs rose. Thus, the fishery was characterised by increasing trawl-fishing capacity and effort, leading to the overfishing of some species. TACs were placed on the eastern gemfish and orange roughy fisheries in 1988 and 1990, respectively. On 1 January 1992 TACs allocated as ITQs were introduced for the 17 major species or species groups (see Table 1) in the fishery. Most of the TACs were based on historic catch levels rather than yield estimates. Although the number of active trawlers has decreased since ITQs were introduced, fishing effort has significantly increased from 1992 to 2000. Approximately 35 500t were allocated under TACs in 2000, but as has been the case since the introduction of ITQs, the actual catches for many species were below the TACs that had been set (Table 1). Tilzey (2000) notes that these shortfalls may reflect reduced fish abundance or catchability and other factors such as quota-availability, impediments to quota-transfer, or marketing-barriers. He further commented that several TACs are probably too high, having remained at their initial (1992) levels, which were based on historic annual catch maxima. Some quota species are also caught by methods other than trawl or Danish seine. In 1998, global TACs (encompassing both trawl and non-trawl sectors) were introduced for blue-eye trevalla (Hyperoglyphe antarctica), ling and blue warehou (Seriolella brama). The global TACs for blue warehou and blue-eye trevalla were considerably higher than their previous values for the trawl fishery only. In 2001 global TACs were applied to all quota species. In acknowledgement of the different gear sectors active in the fishery, it is now known as the South East Fishery (SEF)3 . Important species that are not included in the quota programme include oreos (Allocyttus spp. and Cyttus spp. ), black sharks (Dalatias licha) and king dory (Cyttus traversi) (Tilzey 2000). Marketing adds an additional 21% to the ex-vessel value (Tilzey 2000). The value of the year 2000 catch is expected to be about 9% greater that that of 1999 (Pers. comm. R.Tilzey, BRS, Australia). expansion in the 1970s was to place a limit on maximum length (32m) with three exceptions for existing larger vessels4 . But, as the most efficient vessel size was smaller than this, it had little effect on reducing fishing effort (later, with the development of the fishery for deepwater species such as orange roughy, vessel size became more important). Rising costs, especially for fuel, and declining catch-rates prompted the industry to call for controls on access to the fishery. In 1985, the traditional area of the fishery off NSW and eastern Victoria was split into eastern "A" and "B" management regions and separate vessel licences were required for each region. The rest of the fishery was classed as developing and thus open to new entrants and was called the Southwest Sector. The resources are now managed using a combination of individual transferable quotas, limited-entry, area-restrictions and some gear-restrictions (Tilzey 2000). Initially, few restrictions were placed on the developing deepwater fisheries (Geen, Brown and Pascoe 1991), a situation now much changed. In 1986, a programme to manage fleet-capacity in the fishery was introduced. A total of 24 000 fishing-capacity units5 was established for the fishery - these being based on vessel dimensions and engine power. Should an operator wish to increase the fishing power of a vessel or replace one with a larger vessel, he then had to buy capacity units from those willing to sell (Coutts 1991). A fleet total of 24 086 units was in existence in 1985, but by 1991 this value had increased to 24 664, despite the provisions in the programme that were intended to lead to a reduction in total fleet capacity (Tilzey 1994). At that time, entry criteria were put in place to control which vessels would be part of the limited-entry scheme. These criteria were based on commitment to the fishery during the 12-18 month period prior to the ministerial announcement foreshadowing implementation of the limited-entry programme (Lilburn 1986). The entry criteria for the eastern A and B zones were related to the period immediately prior to June 1981, while the criteria for the rest of the fishery were based on commitments prior to January 1984. The option of managing the Southeast Trawl fishery using ITQs was first identified in 1988, along with three other choices, all involving modifications to the existing system, e.g. changing the boat-replacement rules, changes to fishing-sector boundaries, non-transferable individual quotas, and licence buy-backs. However, it was not possible then for the working group evaluating the options to decide which of the choices would be best, and so a modelling-exercise was undertaken. Though there were important data limitations, modelling was based on assumptions that fishermen have an investment horizon of five years and a discount rate of 20% (of which 10% reflects the risk and uncertainty in the industry). The results of the analyses showed that the industry would earn the most profits if managed using an ITQ system. This system would also result in the greatest structural adjustments. to collect an appropriate charge from individual fishermen exploiting a community resources for private gain. It is interesting that even as early as 1989, industry members, through a working group to consider further options, had noted (e.g. Thomas 1991) their preference to include ITQs in the future management programme, at least for gemfish, redfish and morwong. However, at that time industry felt too little was known about the developing orange roughy fishery to predict whether ITQs would be appropriate for that fishery. ITQs were introduced into the Southeast trawl fishery on 1 January 1992 (operators were informed in December 1991 of their allocations) two years after the decision was made to adopt this form of management. The system was applied to 16 species or species groups for a total TAC of 31 680t. Of this, approximately 29 000t were allocated by the Australian Fisheries Service. The remaining part of the TAC (5 - 10% held back in 1992) could theoretically be used for scientific purposes or for additional allocations made by the Appeals Committee (Geen, Nielander and Meany 1993). The ITQs are fully transferable between operators in the trawl fishery. In the case of the trawl and non-trawl gear sectors, inter-sector leasing of ling and blue warehou quota is permitted, but permanent sales of quota are not (Kaufmann, Geen and Sen 1999). At the time of the introduction of ITQs into the SE Fishery about 140 licences existed for this fishery. By 1997 there were 108 active vessels although a further 42 permits were held by `fishermen' not active in the fishery. During 1997, a Commonwealth Government adjustment scheme removed a further 27 permits. Other operators also received `targeted financial assistance' for the "loss of asset value of fishing entitlements" in the change to ITQs from the input control regime. (Grieve and Richardson 2001). However, despite these potential effort withdrawals, fishing effort during the period 1992 - 2000 has nearly doubled. (Pers. comm. R. Tilzey). The recently developed Cascade Plateau orange roughy fishery 200 km southeast of Tasmania was initially subject to a competitive TAC (1600t), although the TAC was split into four quarters with an equal allocation of 400t in each three month period to spread fishing effort across the year. In the case of this orange roughy fishery, ITQ were not introduced until 1 April 2001. The original policy objectives of the Australian Fisheries Service in undertaking the allocations in the way they did were not explicitly articulated, even if the reasons for making the management change to a rights-based approach were well documented. This makes discussion of the allocation objectives, nearly a decade later, more difficult. This is not the case at present as the Authority's goals are now well expressed. they should discourage legal challenge. Operators received an allocation based on verified records of their historical catch and investment in the fishery. 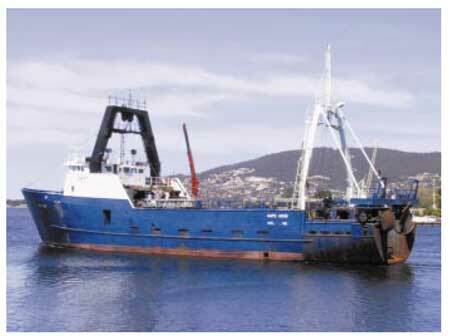 A vessel's catch history was considered by the authorities to be attached to the vessel's licence endorsement, which permitted them to participate in the fishery. If the endorsement was transferred, e.g. through a vessel sale, then the catch history was considered to have been transferred with the endorsement unless there had been an explicit agreement to the contrary. In determining the catch histories, a decision was taken not to rely on logbooks, whose objectives were intended to primarily be for the collection of scientific data. Further, it was considered that these data were not reliable and often did not indicate what the target species were, being completed after the fact. Rather, catch history was to be based on certifiable catch revenue returns. An operator's investment in the fishery was estimated on the basis of a measure of vessel-capacity that had been used earlier in the management of the fishery. It was based on the vessel's cubic number7 and the vessel's engine-power. In the case of the Danish-seine fleet, each vessel was deemed to have an equal "investment" value in the fishery - so this factor only applied to trawlers. T = the set of years over which the catch was calculated. The formula for Danish-seiners was similar but weighting factors of 70% and 30% were used respectively for traditional and newly-exploited species. However, as a consequence of a court challenge (see Sections 5 and 6 below) the formula was changed. For species caught by both the Danish-seine and demersal-trawl fisheries, the number of quota units was first divided between these two gear sectors based on their historical catch. Trawl operators were then allocated a share based on a percentage of the total catch for each species by the fisherman. This was estimated as the percentage of the total catch of that species for each year using the five years during the period 1984-1989 inclusive. These percentages were then weighted and summed to determine the "historical" catch. Extending the qualification period back to 1984 meant that many operators who had left the inshore fishery, e.g. to participate in the developing offshore orange roughy fishery in the southwest sector, would receive entitlements for a fishery that they no longer participated in, though the allocation formula would correspondingly discount the entitlement they received, in relation to the time they had been out of that fishery. The catch histories for the operators' best four years were then averaged and multiplied by 100 to produce the catch history data used in the calculations (Geen, Nielander and Meany 1993). The relative weights given to historic-catch and investment differed between species. For most demersal species the historic-catch was given an 80% weighting for the trawl fishery and 70% for the Danish seine fishery. For deepwater species that were the targets of relatively new fisheries, such as orange roughy and blue grenadier, the historic-catch was given a 50% weighting. An ITQ Liaison Committee for overseeing the quota allocation-process was established in August 1990, composed of industry and government members. The committee met eight times from August 1990 until September 1991. In addition, a committee formed of government members from state and Commonwealth levels was formed. A Commonwealth Quota Implementation Team was also formed, which had the operational responsibility for implementation of the programme. Two rounds of port meetings were held in September and November-December 1990; these were well attended (Exel and Kaufmann 1997). A number of complaints were expressed at the fishermen's meetings, specifically about the consultation-process and the allocation formula. Some individuals in industry believed the consultation process to be perfunctory; there were also complaints that the final management plan was available only one month before it would be implemented. They noted that these consultations were not intended to debate whether (or not) ITQs should be introduced, but rather how they should be introduced. This did not engender a co-operative attitude from those in the industry that were hostile to the idea (Exel and Kaufmann 1997). The quota allocation process in this orange roughy fishery occurred almost a decade after the initial allocation (2001 versus 1992) and in the perspective of past successful Court challenges. (The allocation came into effect on 1 April 2001.) No doubt as a consequence of the earlier legal experiences, the AFMA decided to use an independent Allocation Advisory Panel (AAP) in an effort to distance itself from the allocation process and be perceived to be neutral in regards to the ultimate decision on how allocations should be determined. Thus, the AFMA outlined the general principles that were to be used in the allocation process and the AAP would be responsible for recommending the method to be used. In this way, it was hoped that the allocation process would (a) be an improvement over previous attempts to allocate rights, (b) would be separated from the AFMA, which was responsible for day-to-day management and (c), would stand a better chance of being upheld should it be subject to legal challenge. At the time of the allocation, 14 boats had a catch history for orange roughy, but 110 boats were legally eligible to participate in the orange roughy fishery (i.e. they possessed a SEF trawl or Danish seine licence). However most vessels were of designs that were unsuitable for fishing in the open ocean environment of the Cascade Plateau area and, or, used inappropriate gear - the case for the Danish seine vessels. The AAP decided that because `in theory' these vessels could participate in the orange roughy fishery, all vessels legally eligible to fish should get an allocation and that the amount should be equal for all potential participants, i.e. each licence holder would receive an amount equal to the TAC divided by 124, the number of boats licensed in the SEF at that time. However, this view was not shared by the Board of the AFMA who modified the allocation so that only 50% of the TAC (i.e. 1600t ¸ 2 = 800t) was allocated to vessels with a catch history and the other 50% to the remaining SEF vessels. Their reasoning in doing this was that the licence values of all (124) vessels in the fleet partially reflected their right to exploit fish resources of the Cascade Plateau region even if they chose not to do so. company financial records and tax returns. These data were subject to random audits and such checks were extended to the information supplied by processors and other providers of data. Commonwealth logbook data were also accepted but, were subject to a 15% discount (it is not clear from available documentation why this was done). Personal fishing diaries were also accepted and were treated in the same manner (Geen, Nielander and Meany 1993). Studies were commissioned to examine the veracity of the current logbook data (e.g. Carter and Smith 1991). In the cases of vessels that were disabled, an "imputation" procedure was undertaken to determine an equivalent catch that could be used for quota allocation purposes. Because of the dissatisfaction in the industry regarding the allocation-process, at a request from the political level, a Review Committee was established. There were also several formal appeals: (a) to the internal review process of the AFMA; (b) to the Administrative Appeals Tribunal, an independent body that hears appeals against Commonwealth administrative decisions; (c) an application to the federal court to overturn the management plan. AFMA (1997) notes that when the allocation system is contained in a Statutory Management Plan, any appeals would be considered by the Statutory Fishing Rights Allocation Review Panel (SFRARP) established under AFMA legislation. The allocation system would initially appear in the draft Management Plan, which is subject to extensive consultation arrangements, consideration of submissions, determination by AFMA and acceptance by the Minister. Those not satisfied by a decision of the SFRARP may appeal to the Federal Court on points of law. Where the allocation is effected through conditions on Fishing Permits, the allocation system will be appellable through the internal review, AAT and Federal Court process. An AFMA review was also undertaken of the allocation methodology (Exel and Kaufmann 1997). The Review Committee concluded that the industry was not adequately consulted on either the allocation process or the allocation formula. In the defence of the Australian Fisheries Service, they had been constrained by a deadline for programme implementation, which the Review Committee found was an impediment to adequate consultation. The least desirable outcome for an administration attempting to implement an ITQ management-system is to have the programme challenged in court, and alas, this happened with the Southeast Trawl fishery: two companies applied to the courts contesting the quota-allocation. In the first of these (Austral Fisheries Pty Ltd v Minister for Primary Industry and Energy, 37 FCR 463), Austral Fisheries challenged the formula used to determine its orange roughy allocation. Austral Fisheries asserted that the allocation formula contained a statistical fallacy, produced an irrational result, and was therefore ultra vires by virtue of its manifest unreasonableness. Austral Fisheries maintained that the catch-history should have been computed by summing an individual's catch over the relevant time period and then dividing this sum by the total catch by the industry. Austral Fisheries were successful in their case, and Exel and Kaufmann (1997) report that: the "Federal Court found, in their September 1992 decision, the allocation formula to be `capricious and irrational' and declared the paragraph in the management plan containing the formulate to be void. Kaufmann and Geen (1998) note that the judge found no reason for adopting the formulae that were used. He stated "When, as here, it produces such an absurd result, doubling quota formulae, and giving him 18% of the TAC whilst reducing everybody else's, there is justification for judicial intervention to redress an understandable sense of injustice." "Where a statute provides for an allocation of a scarce resource amongst participants in the relevant industry, in general, and failing some clear indication to the contrary, the statute should be understood as authorising a method of allocation in accordance with some intelligible principle appropriate to achieve a reasonable division as between these participants. On the expert evidence before me, the principle upon which the method here in question was selected is not intelligible (and if there was some intelligible basis the respondents were in a position to prove it in detail, so that I am entitled to give full weight in the inferences arising from the evidence of Dr Nichols (Burette J.)". The allocation formula was then changed so that an operator's catch-history was calculated by summing his catch over the qualifying period. Thus, as a result of this and the earlier review, the allocation formula was changed in October 1992 in such a way that each operator's share was calculated over the entire qualifying period as a simple average, and not as an average of the averages in each of the qualifying years. In the new reformulation, the AFMA adopted a "winners - no losers" approach, which applied for the remainder of the first quota year, and in the subsequent year with no adjustment for "losers". Despite this, Exel and Kaufann (1997) report that many operators remained dissatisfied with the allocations they had received and that legal battles at that time (1999) were still continuing. This matter became the subject of a review by the Australian Senate of Commonwealth fisheries legislation. They found convincing evidence that the allocation formula was seriously flawed from the beginning and that as a consequence, problems in establishing an effective management regime would continue unless they were resolved. As a result of the continuing dissatisfaction with the programme, in 1995 the Commonwealth Government introduced a limited buyout programme with quota recovered by the buyout redistributed among the remaining quota holders. This redistribution was focussed on the inshore fishermen, who were most vocal in expressing their dissatisfaction with the programme. The rational for this use of government funding was that the government should accept some responsibility for allowing excess fishing capacity to develop in the fishery during the previous regulatory regime. This adjustment helped mitigate dissatisfaction on the part of many of the quota holders, not withstanding the (then pending) administrative court appeals. An important consequence of the continuing legal challenges and expressions of dissatisfaction by the industry was that permanent legal transfer of quotas was unable to take place until January 1994. This would have, of course, negated many of the initial benefits that were anticipated to follow from the introduction of the programme. It is germane to note the comments by Kaufmann, Geen and Sen (1999) on the basis for the success of the initial litigants and the failure of the government's appeals. They note that the government lost because the industry was able to show that taking the average of unweighted-means, gives a different result to the average of weighted-means, and in doing so favours those who had the greatest share of the catch when the total catch was least. Of course, if the operators took a constant share or fraction of the catch in each year of the qualification period, these two means would be the same9 . Kaufmann, Geen and Sen (op. cit.) argue that method used was not unjust if it is desired that the quota allocation policy should recognize the "investment" that the 1st operator may have put into the fishery. For example, he may have been the only operator in the first year, or may have assigned five boats to the fishery, while the 2nd operator, if present at all, may have assigned only one boat to the fishery. Thus the allocation to 1st operator should acknowledge the greater risk he took in developing the fishery and that should justifiably be rewarded, if investment in the fishery is one of the criteria to be used in the allocation of quotas. Kaufmann, Geen and Sen concluded that there might have been a failure to argue the government's case appropriately in the courts10 . In fact, one view that has been expressed is that the original formula initially used by the Australian Fisheries Service, was deliberately intended to reward the pioneers in the fishery by giving an extra weighting to their allocation. As is known, the expert witness for the fishing industry was successful in convincing the judge of the view that the results from the AFS's method were not fair as they were not weighted by the annual landings. However, for whatever reason, the AFMA did not call a statistical expert to argue the counter case for their selection of the original formula. Not did they give evidence to the effect that they intended to give a disproportionate weighting to the allocations to the pioneer fishermen, who established the fishery. Indeed, apparently the counsel for the industry expected this justification to be made by AFMA. Thus, in its absence, it was left open for the judge to make the decision he did. In the aftermath of the Court rejection of AFMA's allocation it was decided that none of those who had received quota would suffer a reduction in their allocation; rather those who would gain under the new formula would be given additional formula, a process that became known as the "no losers" principle. The additional quota was taken from a 10% TAC quota reserve that was purportedly established for scientific purposes. This principle was adopted only for the first year; in the following year, the new quota formula was applied. Geen, Nielander and Meany (economists employed either by the Department of Primary Industries or the AFMA), in their 1993 account, published contemporaneously with the introduction of ITQs into the Southeast Trawl Fishery, noted that one objective of quota-allocation in Australia was usually to achieve an equitable distribution of the available catch. They acknowledged that failure to achieve a distribution that was perceived as equitable by the fishermen, would result in their loss of support for the scheme and possible subsequent lack of compliance with the new regulations. They perceived that this would result in increased management-costs and loss of the potential efficiency-gains to be obtained from ITQ management-systems. Another concern of an internal review, noted at that time by Geen, Brown and Pascoe (1991), was that the allocation formula should not allow operators who took large shares of the total harvest during the developmental phase of a fishery to gain permanent large shares through the subsequent allocation-process. In Geen, Nieland and Meany's 1993 article, they had noted that the industry was dissatisfied with the allocation-process (a phenomenon consistently found in most quota allocation-procedures) and that effort was intended then, to make the allocation more equitable and reflect as much as possible the current pattern of fishing operations. This may imply that a period of six years, as the basis for establishing a catch-history record, was considered by many in the industry to be too long, given the rate of change in the participants and the nature of their fishing operations. Geen, Nieland and Meany (op. cit.) also noted that 15% discount factor applied to data on landings derived from logbooks, was to be discontinued. Geen, Nieland and Meany (1993) also noted that the management plan, when introduced, did not extend to other gear-types harvesting the same species as those included in the sixteen quota species taken by the southeast trawl fishery. This they predicted would be a management deficiency that would need addressing in the future, as has been the case. Exel and Kaufmann (1997) noted too that the allocation-process had been subject to much criticism and that two years after the introduction of ITQs, dissatisfaction was sufficient to continue to jeopardize the acceptance of the management regime. They also noted that although ITQs were not introduced until almost two years after the decision had been taken to implement this management approach, they believed that preparation for the management-change had been incomplete. They believed that consultation with the industry had been inadequate and ineffective, and perhaps, was part of the reason that certain sectors of the industry remained opposed to ITQs up until the time this management system was implemented. The issue of the short time that was available for the implementation of the new ITQ regime had arised as the Commonwealth Minister for Primary Industries (which had the mandate for fisheries), the Hon. John Kerin, wanted the ITQ scheme to be in place by 1 January 1992 prior to the creation of the new Australian Fisheries Management Authority. However, the industry argued strongly that implementation should be deferred to allow time to development the required management activities and the allocation protocols, if the ITQ scheme was to be successful once implemented - sentiments that proved to be prescient. In the end, those responsible for the allocation process, the Quota Implementation Team of the Australian Fisheries Service, had only some four months to develop the allocation process. Not surprisingly , accurate determination of what a vessel's catch history was, once the decision not to use logbooks had been taken, was difficult. This gave rise to another source of antipathy towards the programme. Not unexpectly, where ex-vessel fish sales had, as a practice, been unreported to avoid tax payments, fishermen were consequently penalized in terms of having a lower verifiable catch (i.e. from their sales records) than their actual catch. A consequence of this was less acceptance of the new programme, at a time when the AFMA was attempting to achieve the opposite. Exel and Kaufmann also highlighted the problem of uncertainty in establishing appropriate TACs: they believed that in the case of the Southeast Trawl Fishery, this process was rushed. Most TACs were set on past average catch-levels over the period 1986 - 1991, rather than being determined from a formal analysis of the dynamics of the fishery. No formal stock-assessment process was established prior to the commencement of the ITQ management-system and no funds were made available to undertake stock-assessment. Exel and Kaufmann concluded that the cost of stock-assessment, the impact of ITQs on the usefulness of catch and effort data, high-grading, and other stock-assessment issues should have been more fully considered prior to introducing ITQs. the permission given to fishermen (during 15 days after the end of each month) when they are allowed to obtain extra quota-units to cover any landings made in excess of their initial quota. Exel and Kaufmann (1997) came to several strongly held conclusions: they believed that broad-based industry acceptance of ITQs, and industry partnership in the implementation-process are the most important prerequisites to the development of a successful ITQ regime. They asserted that it is better to continue to manage with dysfunctional input-controls, than to introduce ITQs in a fishery where the industry is strongly opposed to the regime. They concluded that even if support is given by the industry, equitable quota-allocation can be difficult to achieve, and appeals are likely to continue for a longer period than first anticipated. The issue of appeals should be given attention prior to the implementation of the ITQ management-system and rights of appeal should be constrained to a predetermined time-period if at all possible. As well, quota should be set aside to handle successful appeals. long after the allocation is complete, any perceived inequities in the quota-allocation will make it difficult for managers to work with the industry. For these reasons, they believed that the establishment of an independent allocation-body is preferable to encumbering the management body with allocation decisions. Exel and Kaufmann offer a further caution: they note that rights-based fisheries management-regimes are often introduced into fisheries that are suffering some form of management crisis (such as over-exploitation or difficulties of excess fleet fishing-capacity). As a result there is (they claim) a false sense of urgency related to the introduction of ITQs, and that bureaucratic imperatives often take precedence over operational realities, e.g. determining acceptable allocations and establishing an effective monitoring and surveillance system. The lesson they drew from the experience in the Southeast Trawl fishery was that it was extremely difficult to correct mistakes that arise from the premature and insufficiently planned introduction of any new management-regime. After ITQs were introduced, new vested interests were created and some previously available management options become foreclosed. Another conclusion to be drawn is the importance of appropriate consideration of historical and social factors when quota rights are to be assigned, in effect, indefinitely. There was a considerable mixture in the traditions of participation in the original SET fishery. On one hand there were third-generation fishermen who had developed the fishery, mainly based on tiger flathead and other inshore species; on the other hand, many fishermen were recent participants attracted by the high catches and prices that could be obtained for gemfish. Not surprisingly, different participants had different views as to what was fair and what was not. Yet further, in the three years prior to ITQs originally being implemented, the orange roughy `boom' saw many new entrants into the fishery contributing to a significant and concurrent change in the social traditions of the fishery and changes in who were the relative beneficiaries of the resources managed under a single management plan. The allocation procedure suffered, in the views of others, another defect. Among the recipients of quota, some had similar sized boats that were not active during the period used for determining the catch history. In these cases, their quota entitlement was based on the catch history of other boats that many believed had above average fishing performance. Thus, the boats whose shared was "imputed" received more quota through this process than many boats that had an actual catch history. There is no doubt that the circumstances under which ITQs were introduced in this fishery were extremely complex. First, insufficient biological information existed on which to confidently set appropriate TACs. Neither did the required assessment and management institutions exist for the provision of fully satisfactory resource management advice. Second, as noted earlier, the fishery itself was complex, involving a variety of gears and industry sectors, each with different fishing traditions. Third, many of the resources were (and still are) subject to more than one regulatory agency. Forth, the management agencies of the Commonwealth government with the mandate for fishery management were themselves being reorganized and being provided with new enabling legislation. Fifth, the South East Trawl fishery was one of the first in Australia in which ITQs were being introduced as a management approach, indeed, globally, this was still a relatively new management approach with only limited institutional experience. Sixth, there was a political exigency to move ahead quickly with the introduction of this management approach. When taken in this perspective, the difficulty in achieving success is more understandable. And, the views of some fishermen, as reported by Aslin, Connor and Fisher (2001) are hardly surprising. These authors note that some fishermen in this fishery felt "they were diddled out of something" and that the allocation process "was a real stuff up". In this context, a positive outcome of the allocation process is that considerable efforts have been put into understanding the social impacts and management dynamics that were involved and appraising past policies and management practices (e.g. the study by Aslin, Connor and Fisher). Further, it is apparent that AFMA staff are well aware of the difficulties and problems encountered in this process and the ways in which improvements can be made. It is noteworthy, that despite the efforts of the AFMA to devise what they hoped would be an impartial formula for the assigning of vessel quotas in the Cascade orange roughy fishery by devolving this responsibility to an independent committee, they were dissatisfied with the outcome to the extent that they modified the AAP's recommendation. It can be assumed that they thought it unfair that those who had recently invested in the fishery (and thus be subject to the current associated commercial risks) should not be recognized for their commitment. This action was consistent with their mandate as the AAP were an advisory body with no management authority; this lay entirely with the AFMA. Thus AFMA were entitled to reject the view of the AAP that allocations should be based entirely on catch history as being (politically?) unfeasible in entirely ignoring current investment in the fishery. In the event, their action was seen by most as being sound. What the views of AFMA were regarding the many vessels that would have received orange roughy quota although they would be physically incapable of harvesting the entitlement they had received remains unknown. Despite Exel and Kaufman's views noted above, and what would seem to have been the AFMA's best intentions, and their use of an independent allocation body, they were still unsuccessful in avoiding court challenges over the allocation process with five of the Cascade operators mounting a legal challenge to the decision. In effect AFMA appeared to have had an "each way bet" which ended in satisfying few in the fishery. For example, it has been observed that most Danish seine operators professed to be embarrassed at receiving orange roughy quota and sympathised with the Cascade operators. Management Paper, AFMA (1997) note that its supporting legislation, regulations and objectives11 provide no specific guidance on the allocation of fishing concessions when management arrangements are changed. However, AFMA does believe that the Authority's objectives do provide guidance for undertaking allocation of fishing rights. AFMA (1997) note that it is "the fishing concessions that exist in a fishery at the time that the management arrangements are proposed to change, are the ones that will be taken into account under any allocation of concessions required by the move from one management regime to another". They also note that they anticipate circumstances where it will not be possible to achieve an equivalent translation of the fishing concession when changing management regimes and that in these situations it will be impossible to avoid having some impact on the economic positions of the individual operators. any differential economic impacts of allocations on individual fishing concession holders are minimized unless there are reasons, justifiable with respect to AFMA's legislative objectives, that dictate otherwise." AFMA (1997) holds the view that "operators will have greater confidence in allocation outcomes where they result from an independent assessment of the fishery and individual circumstances." For this, AFMA deems it necessary that the recommended basis of any allocation be done at "arms length" from AFMA and the AFMA board. AFMA policy is to use an independent Allocation Advisory Panel (AAP) though the allocation is ultimately done in accord with the its responsibilities under Section 7 of the Fisheries Administration Act (1991). The AAP may consist of up to three members, one of whom is to be a qualified member of the legal profession, such as a retired judge. to identify and include in that allocation system any exceptional circumstances wwhich the AAP considers should be taken into account. maintain full records of all activities undertaken by the Panel." AFMA policy (AFMA 1977) stresses consultation and explicit guidelines are offered in relation to this process. The AAP in addition to consulting fishermen, may, if they wish, also consult with "any person/s or organizations with appropriate knowledge, experience or expertise as appropriate". Where necessary the AAP may obtain advice from relevant legal, economic or statistical experts. Appropriate funding is to be made available by the AFMA for the AAP's activities. It was since been recognized that specialized legal expertise and logistical support (e.g. in the way of appropriate databases and data to support trial evaluation of different allocation options) would have greatly improved the draft plan for the programme that was produced. These were not available, and, to comply with deadlines somewhat self-imposed by the Service, a plan was hastened by the Project Implementation Team to the Minister, with, as could expected, various imperfections. As a consequence of the work load and the time available, it was not until late September/early October that industry members received by envelope notification of what their allocation would be for the following season. Until then, it had not even been possible to confirm that the conversion in the management process would occur. None of this was helped by the subsequent discovery of a fault in the software used in determining the allocations that resulted in some boats having the catch histories switched in a haphazard manner. And on 23 December, the decision was taken to proceed with the programme, despite the recognition that some vessels had catch histories that had been incorrectly assigned. As happens in any management change, the risk of industry frustration existed, and in this case there was the view among many of the operators that their views had neither been properly considered nor had they been genuinely consulted. That such concerns existed would have been normal. Under the input control programme (the VCUs were assigned in 1988), and as the fishery for gemfish developed and later that for orange roughy, the value of VCUs had risen from A$600 to a high of A$4000 per VCU. Thus a vessel assigned 750 VCUs would have had an implied value of A$3 000 000. Naturally, operators were anxious as to how this imputed input-control value would by re-valued as an output-control ITQ asset. After the change, many boats were no longer economic, though in their exit from the fishery their owners were able to sell their quota holdings. As Exel and Kaufmann (1997) note, the length of time following the beginning of active management of the Southeast Trawl Fishery to the introduction of ITQ-management was, relative to many other fisheries, extremely short. Area management had been introduced in 1985 and input controls in 1986. By 1 July 1990, the AFS had formed a quota implementation team who had to work in an industry-government environ- ment of what had been described as a traditional command-control model - government regulated and industry complied. To be fair to AFS, this management model was normal not only for the management regimes found in Australia, but represented a common government-industry negotiating situation of that era - mutual suspicion, traditional bureaucratic control and an adversarial win-loose, or `zero-sum', mentality to negotiations. Where a truly consultative approach was needed, time had not existed to allow for the, subsequently achieved, co-operative approach to management. To these difficulties must be added those arising from the complexity of the fishery - the many gear sectors, the mixture of backgrounds of the participants, the relatively rapidly evolving nature of the fishery, plus the decision to encompass 16 species in the programme despite the lack of institutional expertise that would be needed to accurately determine appropriate TACs based on good stock assessments. As if these difficulties were not enough, in the middle of this fundamental change in management approach, the AFS was restructured; all staff were required to re-apply for their positions (not all were rehired) and the new organization, AFMA, came into being in November 1991. The new Authority was to function with a then, relatively new, industry-government co-management approach. Thus, in looking back at the administrative change, it might be claimed that the new management regime is testament to the robustness of an ITQ management approach that the process weathered its birthing difficulties. Now, it can be claimed that the ITQ management regime is reasonably widely accepted by the fisheries' participants for there is little, if any, indication that any of the South East Fisheries' participants wish to return to the former management regime. But certainly, this fishery offers a host of lessons for the prudent administrator facing the step of turning to a transferable-quota management approach. I am most grateful to Martin Exel, Austral Fisheries, Pty., Fremantle, Geoff Rowan, AFMA, Canberra, Richard Tilzey, Bureau of Rural Sciences, Canberra, and Anna Willock, Traffic Oceania, Sydney for their insights and invaluable suggestions for the improvement of this text. However, responsibility for all omissions and errors of fact and interpretation must remain mine. AFMA 1997. Allocation of Fishing Concessions where Management Arrangement Change. Fisheries Management Paper Series FMP No. 8. 5pp. Anon. New Directions for Commonwealth Fisheries Management in the 1990s. A government policy statement. Department of Primary Industries and Energy, Canberra. Anon. 1996. Report of the South East Fishery Adjustment Working Group. Prepared for the Minister for Resources and Energy, Canberra, Australia. Anon. 1997. Report of the Advice Concerning Apportionment and Allocation in Respect of Blue Eye Trevalla, Blue Warehou and Pink Ling . The South East Fishery. Report to the Board of the Australian Fisheries Management Authority, Canberra, Australia. Aslin, H.J., R.D. Connor and M. Fisher 2001. Sharing the catch or cashing in the share? Social Impacts of Individual Transferable Quotas and the South East Fishery. BRS and Centre for Resource and Environmental Studies, ANU. 113pp. Carter, D.J. and Smith, D.C. 1991. South East Trawl landings in Victoria and South Australia 1988-1990. A comparison of data sources. Internal Report. Vic. Dept. Cons. Env. Mar. Sci. Lab. Coutts, D. 1991. A Management Profile of Australia's Southern Trawl Fisheries. In: Abel, K., M. Williams and P. Smith (Eds). Australian and New Zealand Southern Trawl Fisheries Conference: Issues and Opportunities. Melbourne, 6 - 9 May 1990. Bureau of Rural Resouces, Proc. No. 10. pp.114-122. Exel, M. and B. Kaufmann 1997. 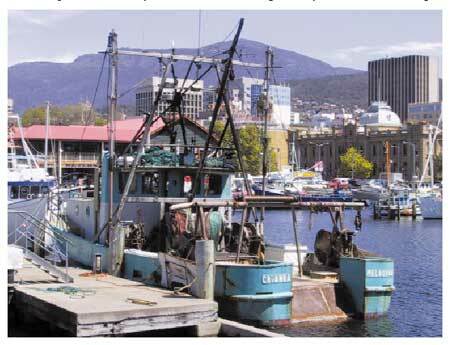 Allocation of Fishing Rights: Implementation Issues in Australia. In: Pikitch, E.K., D.D. Huppert and M.P. Sissenwine (Eds.) Global Trends: Fisheries Management. Proc. Symp. Seattle, Washington, USA. 14 - 16 June 1994. Am. Fish. Soc. Symp. 20. pp 246-255. FERM 1997. Re-Allocation of Fishing Concessions Where Management Arrangements Have Changed. Background Paper prepared for the AFMA Board. 14pp. Geen, G., D. Brown and S. Pascoe 1991. In: Abel, K., M. Williams and P. Smith (Eds). Australian and New Zealand Southern Trawl Fisheries Conference: Issues and Opportunities. Melbourne 6-9 May 1990. Bureau of Rural Resources, Proc. No. 10. pp.129-141. Geen, G., W. Nielander and T.F. Meany 1993. Australian Experience with Individual Transferable Quota Systems. In: The Use of Individual Quotas in Fisheries Management. OECD, Paris. pp. 73-94. Grieve, C. and G. Richardson 2001. Recent history of Australia's South East Fishery; a manager's perspective. Marine and Freshwater Research. 52: 377-386. Halvorson, K. 1997. Recommedations for the Allocation of Commercial Groundfish between Trawl and Hook & Line Gear Sectors, and Recommendations for a Groundfish Trawl Individual Vessel Quota Program. Report prepared for the Minister of Fisheries and Oceans, Canada. Kaufmann, B. and G. Geen 1998. Quota Allocation and Litigation: An Economic Perspective. Mar. Res. Econ. 13:143-157. Kaufmann, B., G. Geen and S. Sen 1999. Fish Futures: Individual Transferable Quotas in Fisheries. Fisheries Research and Development Corporation, Australia. 248pp. Lilburn, B. 1986 Management of Australian Fisheries: Broad Developments and Alternate Strategies. In: Mollet, N. (Ed. ).Fishery Access Control Programs Worldwide. Proceedings of the Workshop on Management Options for the North Pacific Longline Fisheries. Orcas Is., Washington, 21-25 April 1986. Alaska Sea Grant College Program. Report 86-4, pp.141-187. Smith, A.D.M. and D.C. Smith 2001. 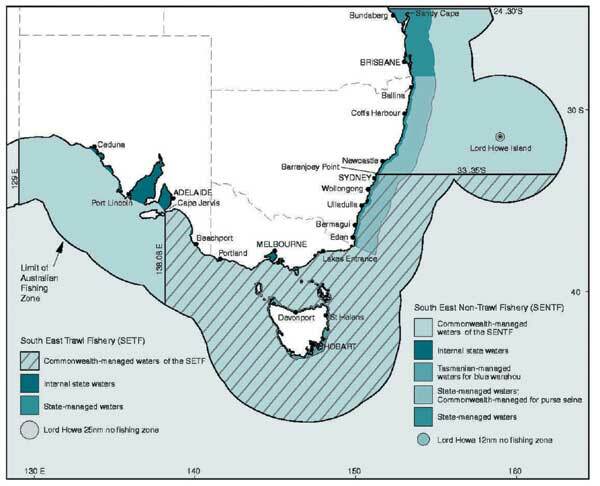 A complex quota-managed fishery: science and management in Australia's South-east Fishery. Introduction and Overview. Mar. Freshwater Res. 52(4):353-359. Thomas, D. 1991. Community Return from the South-East Trawl Fishery. In: Abel, K., M. Williams and P. Smith (Eds). Australian and New Zealand Southern Trawl Fisheries Conference: Issues and Opportunities. Melbourne 6-9 May 1990. Bureau of Rural Resources, Proc. No. 10. pp.163-170. Tilzey, R.D.J. 1994. The South East Fishery. A Scientific Review with Particular Reference to Quota Management. Bureau of Resource Sciences. Parkes, ACT Australia. 360pp. Tilzey, R. 2000. South East Fishery - quota species: 119-141. In: Fishery Status Reports 1999: Resource Assessments of Australian Commonwealth Fisheries. Caton, A and McLoughlin, K (Eds). Bureau of Rural Sciences, Canberra. The Crianda, 18.2m LOA, 440hp, 60GT, shown above in Victoria Dock, Hobart,was completed in 1980 in Melbourne, Victoria. It is typical of the trawlerstargeting "anvthing that swims" in the South East Fishery for market species. 1 The views expressed in this article are those of the author and not those of the Food and Agriculture Organization of the United Nations. 2 These authors provide the introduction to Volume 54(4) of the journal Marine and Freshwater Research, which is dedicated to papers relating to this fishery. 3 While this fishery has been known as the South East Fishery since 1992 because of its mult-gear character; the original name has been used here as the emphasis of this article is on the fishery's early period. 4 Grieve and Richardson (2001) report that this regulation was successfully challenged in the Federal Court on the basis that restricting vessel length was contrary to the AFMA's objective of pursuing maximum economic efficiency. 6 The Australian Fisheries Management Authority was formed as a statutory body with its own board in February 1992. It operates under new legislation and took over the functions of the then disbanded Australian Fisheries Service, which was a Division of the Department of Primary Industries. 7 Length x breadth (beam) x depth. 8 The Cascade Plateau occurs to the southeast of Tasmania about 200 km distant from the coast and within the Australian EEZ. The 2nd operator would then receive 46.66% of the quota - significantly more than with method (1). 10 Any person who has been a scientific expert-witnesses in court, will know the unpredictable way technical facts can be interpreted by judges, and the obfuscation and un-scientific ways that scientific testimony can be challenged. Above all is the frequent lack of understanding of the scientific issues by those responsible for making the critical decisions. achieving government targets in relation to the recovery of the costs of the Authority.